For Spring/Summer 2019, Rick Owens continued his expression of the unique with a carrying option inspired by the holster style attachments worn by cowboys. The large Rubberized-Cotton Utility Belt Bag attaches to the waist via an adjustable grosgrain strap connected to two flaps on the sides of the pouch. Crafted in Italy, the bag utilizes a textured rubberized-cotton that mimics the distinct look of leather. The large compartment that makes up most of the bag features a secure zip-fastening and houses an internal hidden pocket. 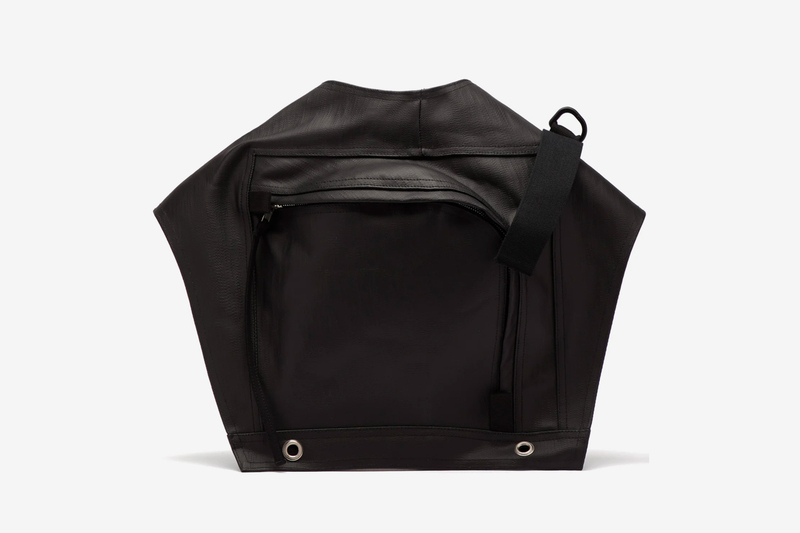 Priced at $1,600 USD, Rick Owens’ Rubberized-Cotton Utility Belt Bag is available now at MATCHESFASHION.COM. In case you missed it, Maison Margiela’s Technical Numerical Backpack sports a distinct military inspiration. Hitting sacai’s webstore on March 7. During a YouTube Q&A session. With the President taking to Twitter to voice his opinions. Motivated by the upbringing of the brand’s founder.